The Stud Dogs listed below are owned by current financial members of The LRCNSW and have financially subscribed to this listing. The LRCNSW offers no warranty of any kind in relation to the standard of any stud dog offered for service by any breeder, regardless of their membership status. 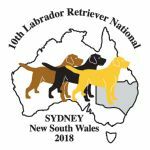 Stud dog owners wishing to join this listing and are current financial members of The LRCNSW are welcome to download and submit the application form at the top of this page.